We offer three basic types of brushes: Bronze, Nylon and Copper Eliminator. Beware of brushes with steel core wire going through the center of the brush, especially if the wire is snipped off at the top of the brush, leaving sharp edges. These can often harm a chamber or throat if not correctly centered. All of our brushes feature a no-harm core. 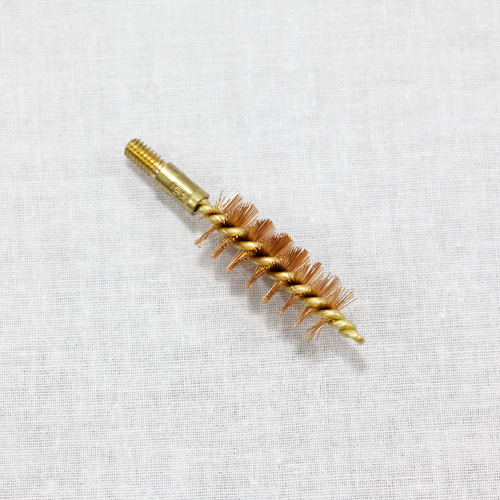 Our benchrest brushes are made with brass or aluminum core wire that is fashioned into a loop at the top. Our Bronze Brushes feature a brass wire core with bronze bristles. These are used for your everyday cleaning. Our Nylon Brushes feature a brass wire core with nylon bristles. These are designed for use with harsh bore solvents, and barrels with polished bores. 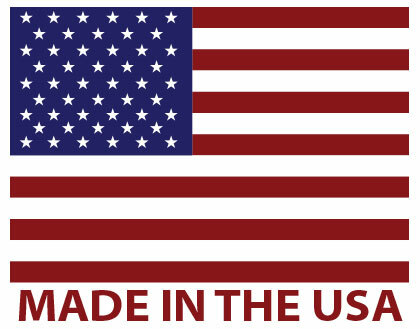 They are recommended by Sig Sauer and Glock. Our Copper Eliminator Brushes feature an aluminum wire core with nylon bristles. These are designed for the harshest bore and copper solvents. They eliminate false copper readings when used with ammonia based solvents. Please note: .22 Rimfire and CZ Shooters, please use Pistol Length brushes as they will push more easily through the bore without sacrificing any of the cleaning power of the rifle length brushes while reducing stress on the cleaning rod. 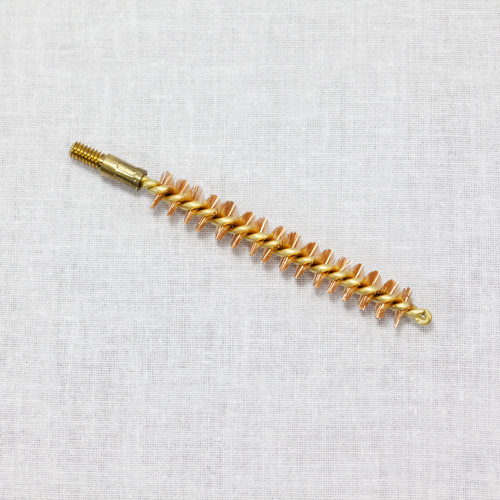 We also have bore and chamber mops made of 100% cotton with brass cores and specialty cleaning brushes used for cleaning receivers, rails, bolts, etc.